Inter Milan are to have new owners, with Chinese investors Suning Commerce Group taking a majority 70% stake in the club. Ex-Inter president Massimo Moratti is selling his 30% stake, with current owner Erick Thohir selling 40%. Thohir will keep his remaining 30% and will be confirmed as Inter's president. The deal is not expected to affect the position of manager Roberto Mancini, while chief executive Michael Bolingbroke is also to keep his role. 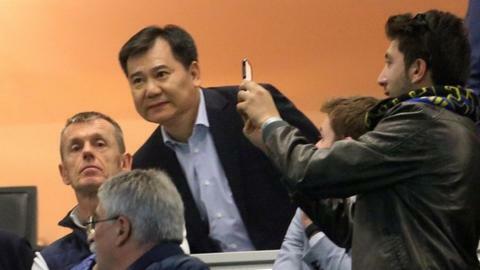 Inter's new ownership structure will be announced at a press conference at Suning's headquarters in Nanjing on Monday. No figures have been mentioned but Thohir is thought to have made money from the deal, having bought his 70% stake in Inter in a leveraged purchase for around £250m in 2013. Although this season they finished fourth in Serie A, their highest position since 2011, Inter have not qualified for the Champions League throughout Thohir's time at the helm. He has tried to get the finances of the club in order and Inter expect to reduce Financial Fair Play losses from 90m Euros (£69.5m) to 30m this year.